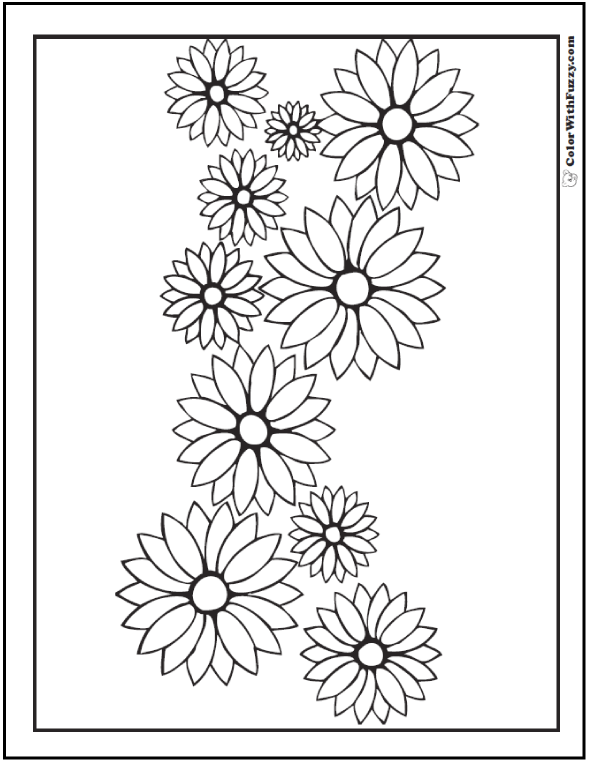 Have fun coloring a daisy coloring page! 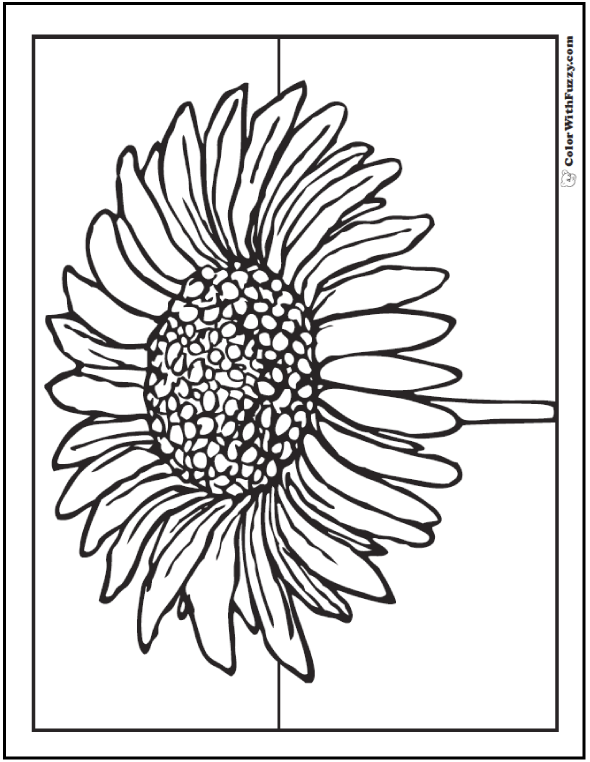 I like daisy coloring pages that are cute and sometimes I like those that are realistic. 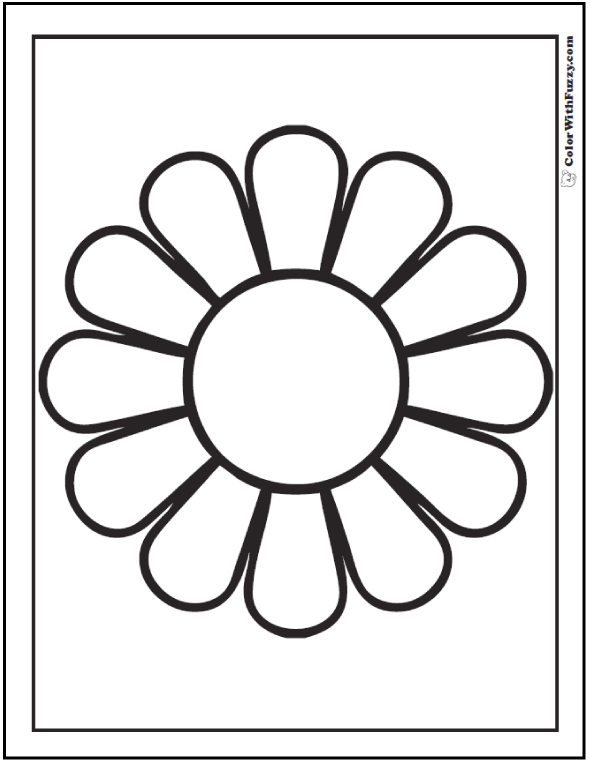 A couple of these daisy pictures are super simple for preschool and kindergarten. 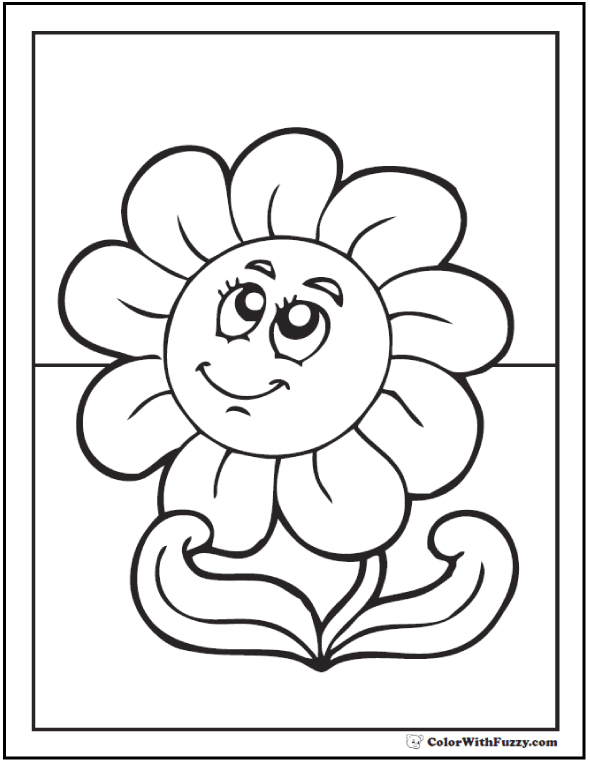 I like the one with the happy face. 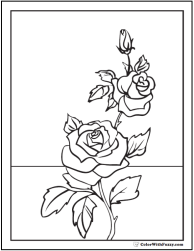 Several are more life-like. 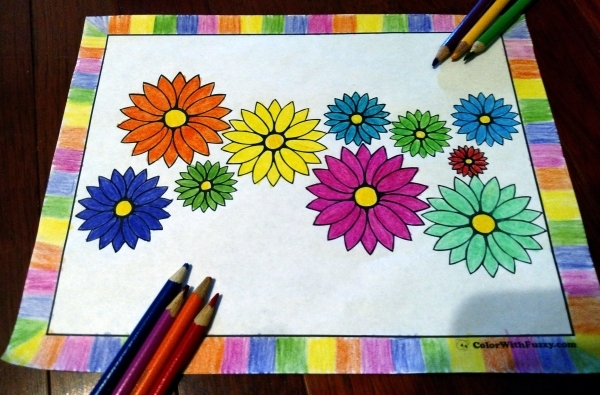 Remember that daisies are usually yellow and white flowers, yet these are fun no matter which colors you use. 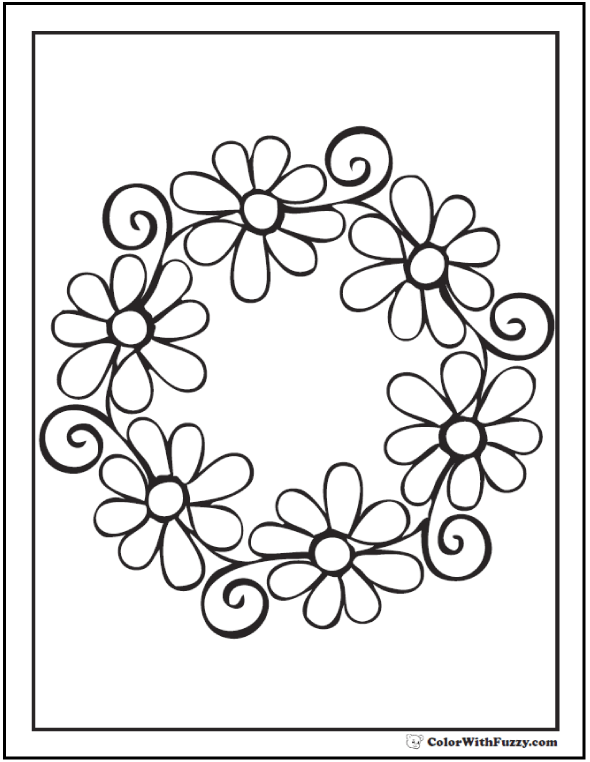 They can also look like asters and other flowers. 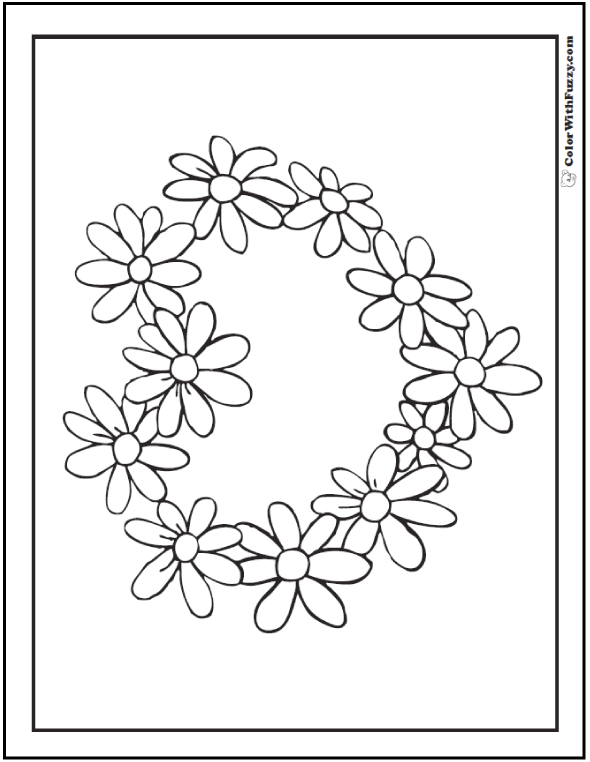 I love fresh daisies! 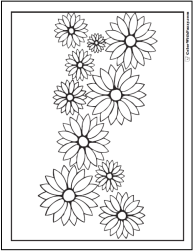 These sheets have realistic pictures that you can use to color asters and other daisy shaped flowers. 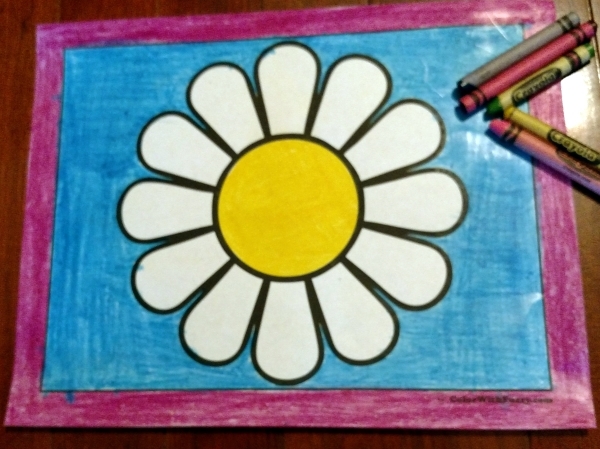 Daisies bring their spring freshness to children and adults. 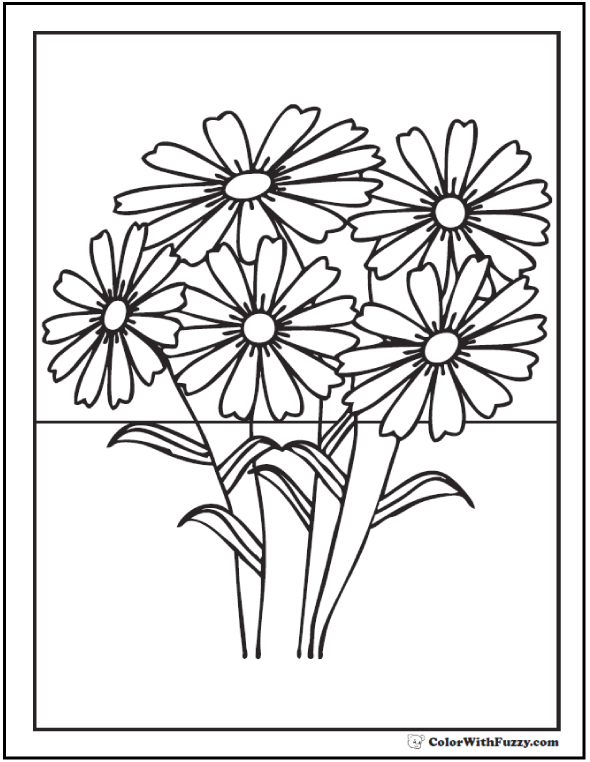 Teach the children that daisies usually have a yellow center and white petals. 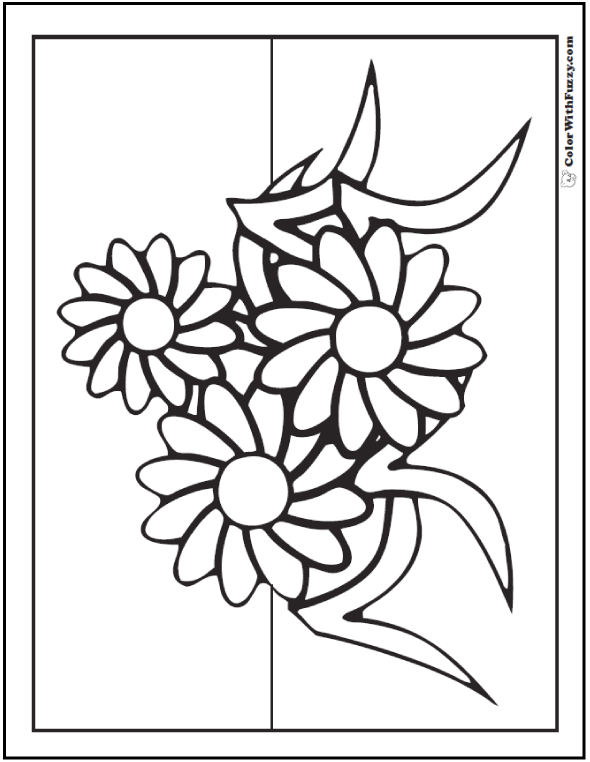 They can leave the petals as the white of their paper and then color the background around them. 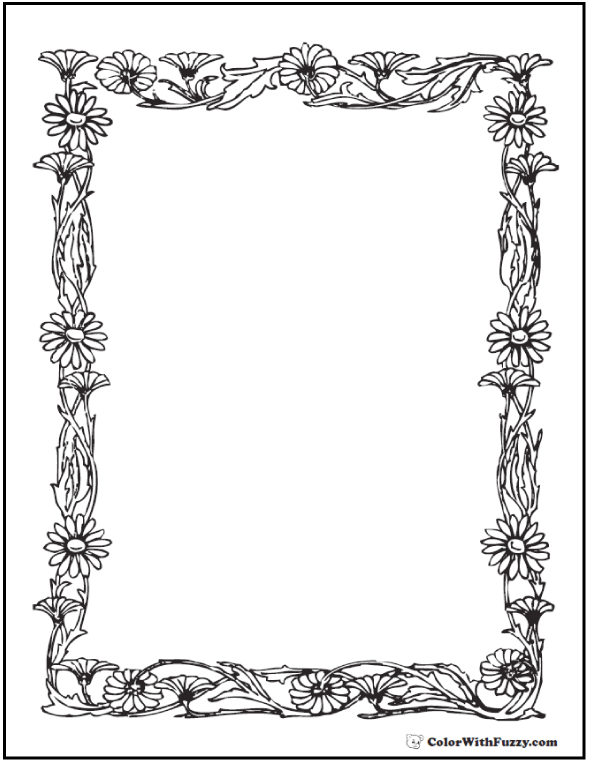 Did they make mistakes? 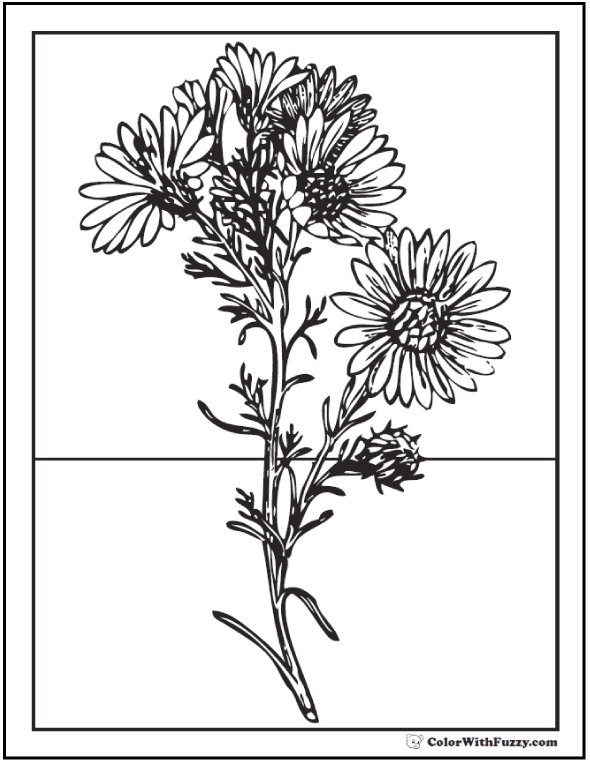 Use white-out or name them asters or some other similar looking flower. 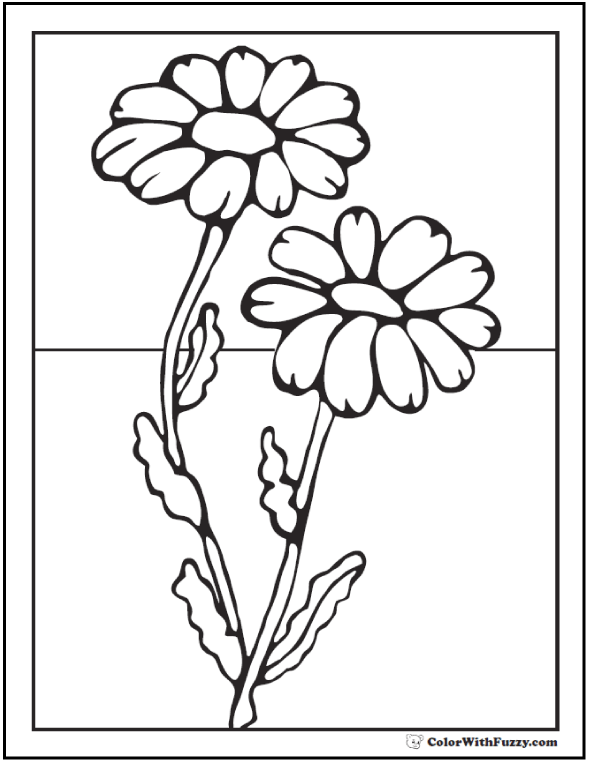 Daisies come in many shapes and heights. 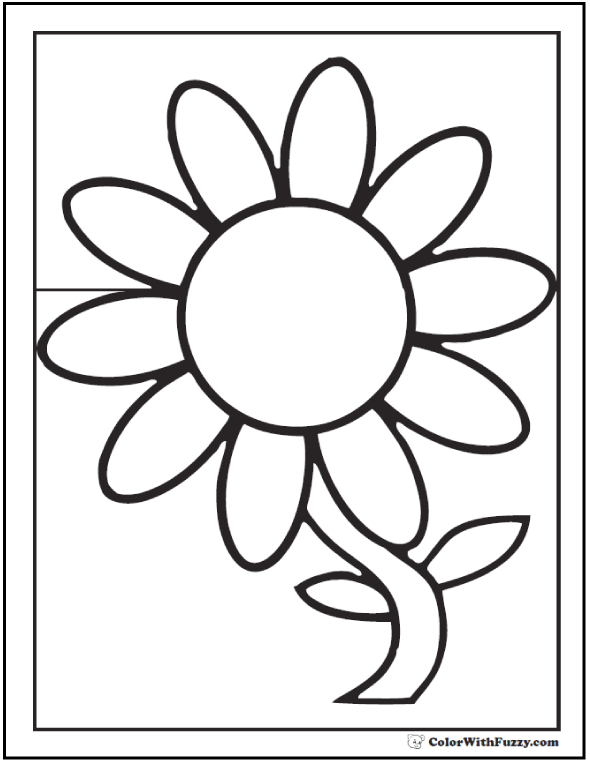 Also there are many other kinds of flowers that have these shapes like sunflowers, asters, black eyed Susans, chamomile, and zinnias. 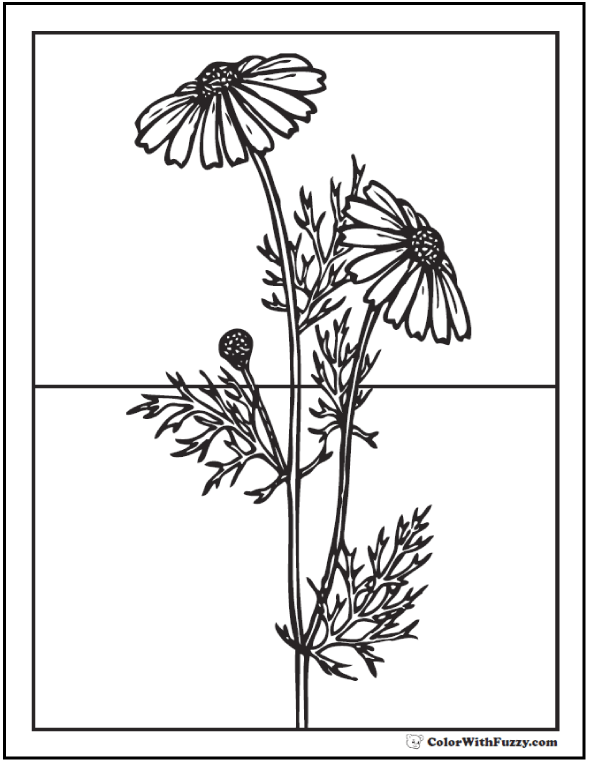 Actually, most flowers that look like daisies are from the aster family. 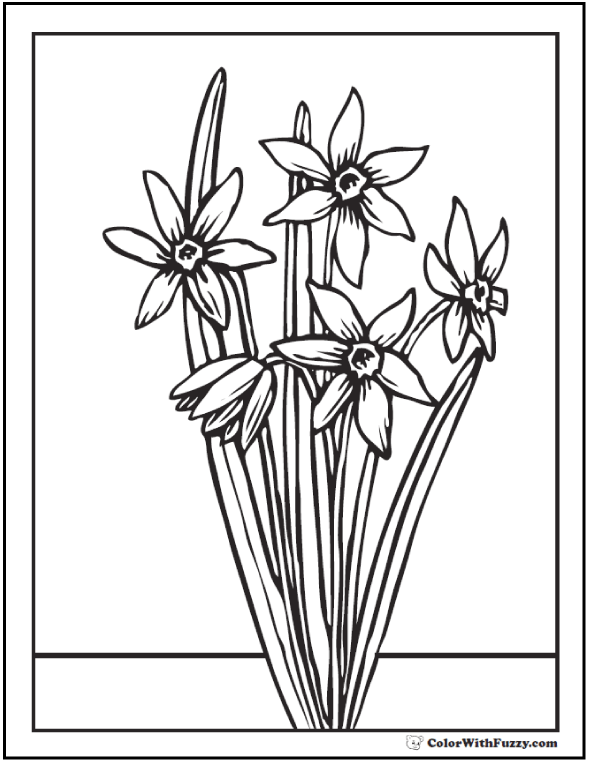 The word aster is from the Greek word that means star. 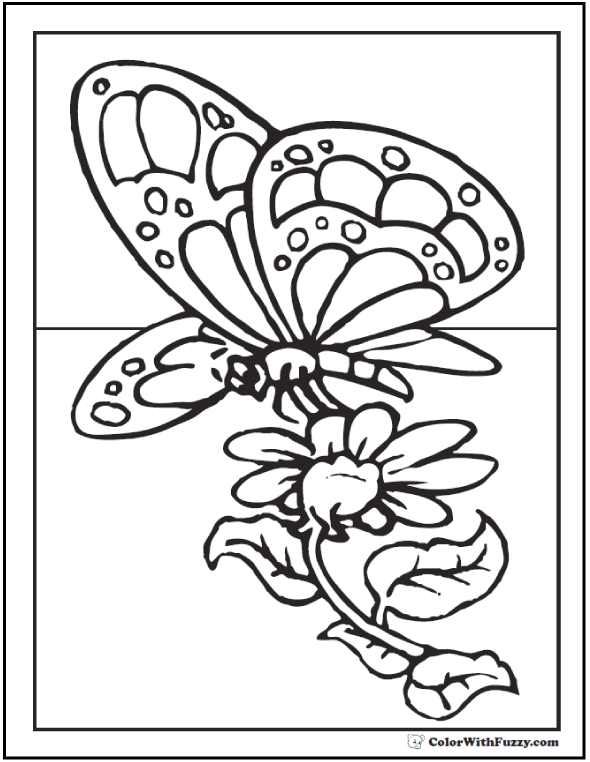 They sure do look like stars in the green fields when I'm up in a honey tree! 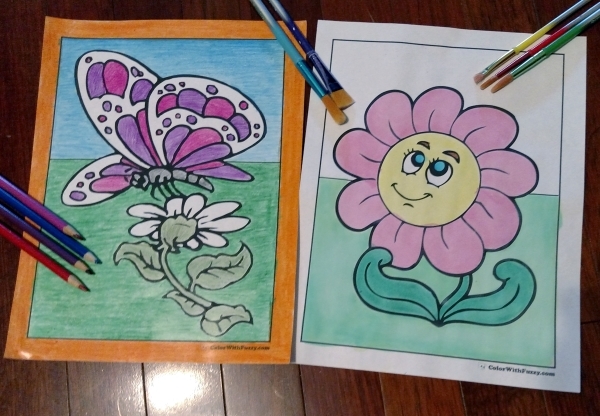 Thank you for coloring with Fuzzy. 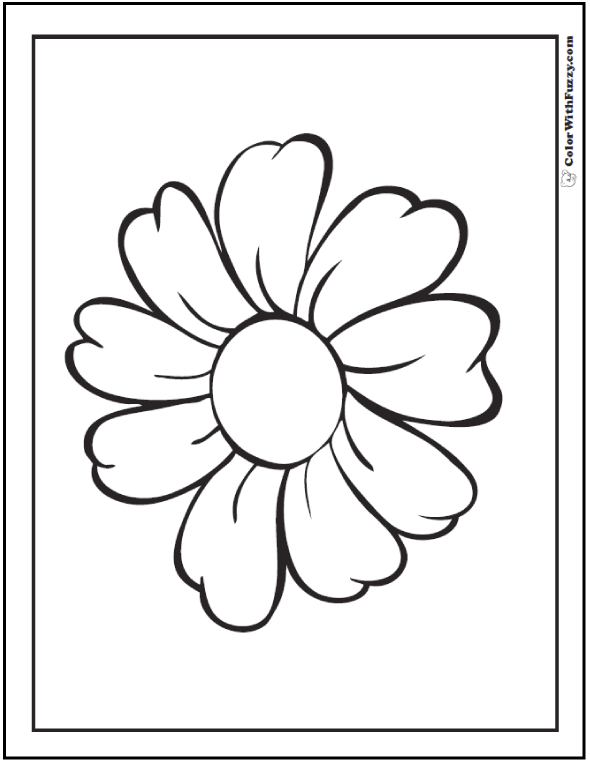 Thank you for sharing my daisy coloring pages!